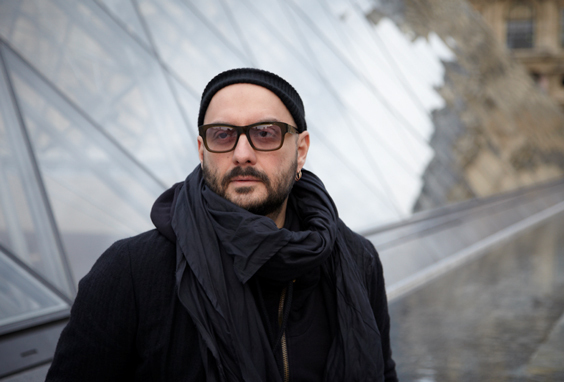 Kirill Serebrennikov. Festival de Cannes. On Monday, a Moscow court overturned a lower tribunal’s ruling last week to extend the theater and film director Kirill Serebrennikov’s house arrest, the New York Times reports. The forty-nine-year-old head of Moscow’s Gogol Center theater had been confined to his apartment for nearly twenty months after he was accused of taking part in a $2 million embezzlement scheme. Serebrennikov’s supporters claim the charges brought against him are politically motivated and that the financial fraud case is really about artistic freedom. The artistic director is known for staging provocative works that often address sensitive topics in Russia such as the reality of life under President Vladimir V. Putin. If convicted, the director could be sentenced to up to ten years in prison. During his confinement, the director still managed to work. Shortly after Serebrennikov was put under house arrest, his Rudolph Nureyev ballet premiered at the Bolshoi Theater. He also sent instructions to the staff at the Gogol Center for stagings of Mozart’s Così Fan Tutte in Zurich and Verdi’s Nabucco at the Hamburg State Opera by recording them on USB sticks.